We did something new for this summer holiday. 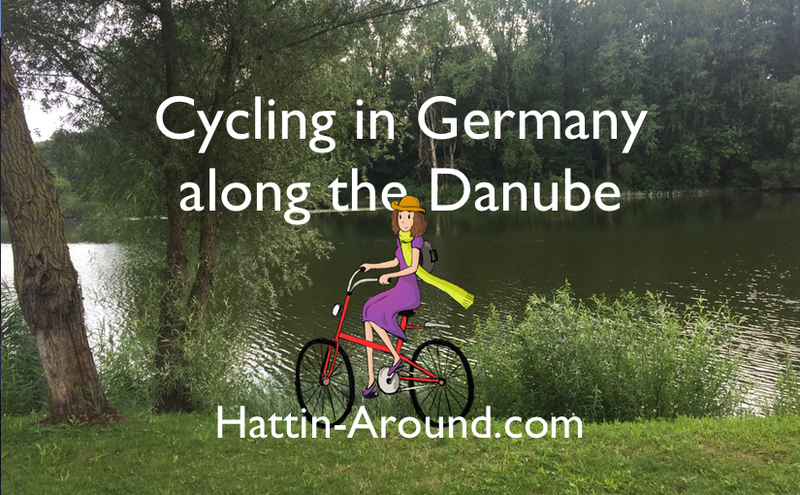 Cycling with family and friends along the Danube in Germany. In my case it was Hattin’ Around the Danube. How do you like the cycling caps I made for everyone? I used a free pattern by Dill Pickle. The pattern, instructions and caps were great, however I found the pattern ran a little small. Most of us needed the “large” and the 23.5″ (59.6 cm) head needed the “xl”. We used fabric pens to sign and decorate the caps. Regensburg, Germany was a great place to start our trip. Architecture, history, river, good food and the start of what could be called the ice cream trail. It also had the best hats & hat shops of the trip. HutKönig is a long establish hat shop with an excellent reputation and helpful staff. The couture felt hats were gorgeous. I loved the shapes, the colors and layered trims. 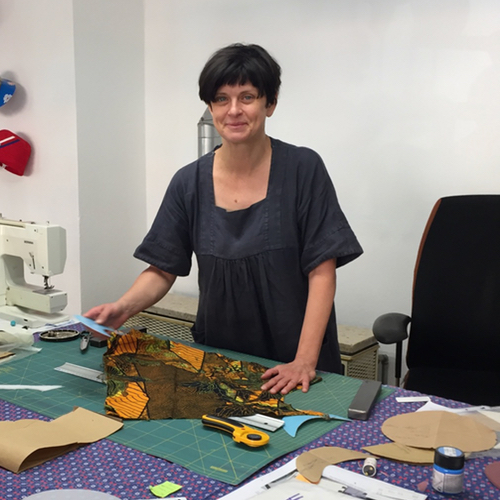 Take a look at their old glass tank steamer and hidden behind, a burgundy embosser with gold tape. 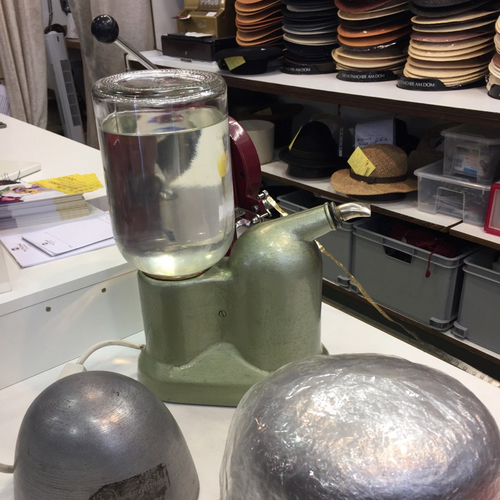 Mental note, add embosser to the hatting/millinery equipment wish list. 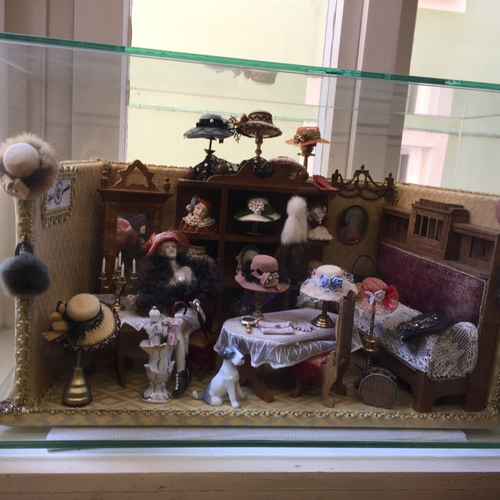 I took loads of photos of hats, but this little miniature millinery shop was too cute to leave out of the post. They are made from real straw, felt and lace. I love digital zoom. HutKönig actually had 5 hat blocks for sale. All of which were for small head sizes, but I can put a sock on it. I decided on this one after much deliberation. I was hesitant to buy too many hat blocks on the first day of our trip, although the tour company moved our bags from place to place. 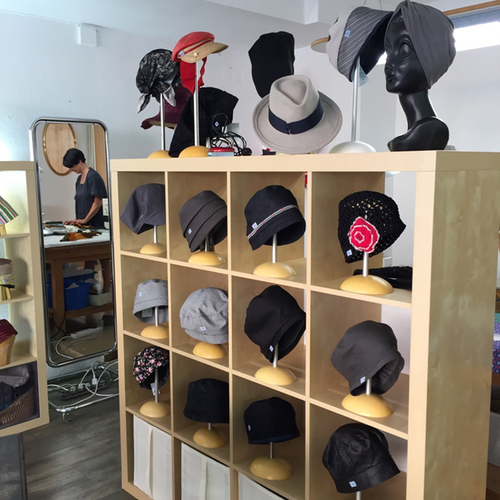 Lilo is a marvelous small hat shop. Lilo, herself, was absolutely lovely and kind enough to take a few minutes to talk with me. 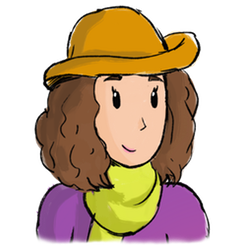 Her hats are charming and her look is distinctive. 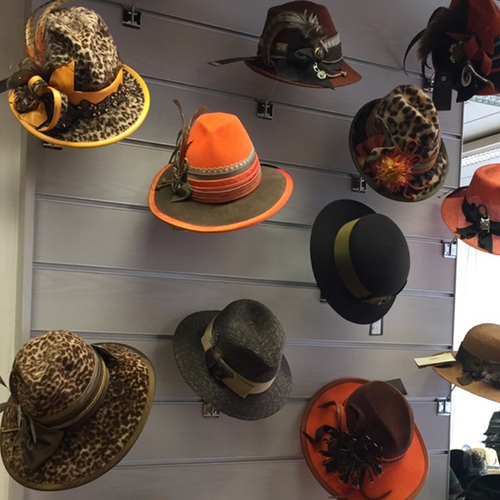 I saw a few of her hats in boutiques elsewhere in Regensburg and recognized them as Lilo’s. Straubbing, Germany was met with a hot and exhausted group of cyclists. I brightened up when I saw this adorable little fellow in a straw hat with his parents in the town square. 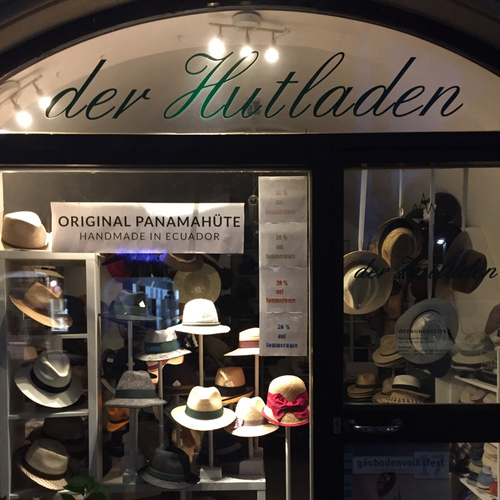 I spotted one hat shop called Luise Danner der Hutladen, but sadly we were pedaling again the next morning before they opened. Deggendorf, Germany was the smallest of the towns we stayed in. It was also the shortest day of cycling which is good as it had been very warm for this London based family. We arrived early enough to have a look about and the hat shop was still open. Olga’s Hut und Mode was several rooms, upstairs with a friendly poster of Olga, pointing the way. Olga was in the shop and kindly allowed photos, but we had language issues. I told her about my blog and gave her a card, she nodded and then showed me a selection of blue hats. To be fair, blog starts with “B” and my card has a blue hat on it. If only I’d followed through with my Duolingo German lessons. Passau, Germany is where the confluence of three rivers join, the Inn, the Ilz and the Danube. They are often represented by three colors, Green, Black and Blue respectively. I located one hat shop, Edelweiss & Rosenrot but they didn’t want any photos inside the shop which is unfortunate as their displays were upholstered in bright green moiré. It was a wonderful trip with loads of ice cream for the kids, a fair bit of käse spätzle (German style Mac n’ Cheese) which just might be my favorite german food and the guys enjoyed a little beer. Fun, friends, family, cycling and hats. It was a good holiday.